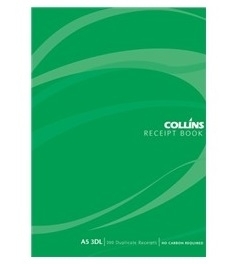 This Collins self carbonating cash receipt book is made in NZ. Is a duplicate book so give one copy to your customer and keep one copy for your records. This book has 3 receipts per page giving you a total of 300 receipts.